Internationally recognized for his groundbreaking work on the creative development of J.R.R. Tolkien in the context of his times, John Garth is the author of the Mythopoeic Award-winning Tolkien and the Great War (2003) and the 2015-16 Fellow in Humanistic Studies at Black Mountain Institute, University of Nevada, Las Vegas. He lectures on Tolkien for the Mythgard Institute. John Garth is internationally recognised for his groundbreaking work on the creative development of J.R.R. Tolkien in the context of his times. Tolkien and the Great War, his 2003 biographical study exploring the invention of Middle-earth against the backdrop of the First World War, won the Mythopoeic Award for Scholarship. Ongoing research has produced a further study, Tolkien at Exeter College, on the formative undergraduate years. While a fellow of the Black Mountain Institute, Garth began work on his next book, to be titled Tolkien’s Mirror. 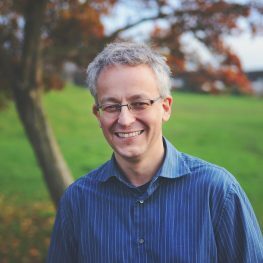 Garth has contributed biographical chapters to the book accompanying the major 2018 Bodleian exhibition, Tolkien: Maker of Middle-earth, and to the Blackwell Companion to J.R.R. Tolkien. He has also written for the Routledge J.R.R. Tolkien Encyclopedia and, regularly, for the annual scholarly journal Tolkien Studies. He read English at Oxford and worked for many years on the editorial staff of the London Evening Standard. Now a freelance writer, editor and lecturer, he has written on cultural topics for major media such as the Guardian, Telegraph, Times and Daily Beast; taught Tolkien (and sometimes C.S. Lewis) for Signum University, the University of Nevada in Las Vegas, and Oxford University; and spoken regularly in the US, Britain and Europe. For further information, articles, links, and contact details, see www.johngarth.co.uk.